I can never seem to stick to one style. Sometimes I like to keep it cute, other times I long for something elegant. 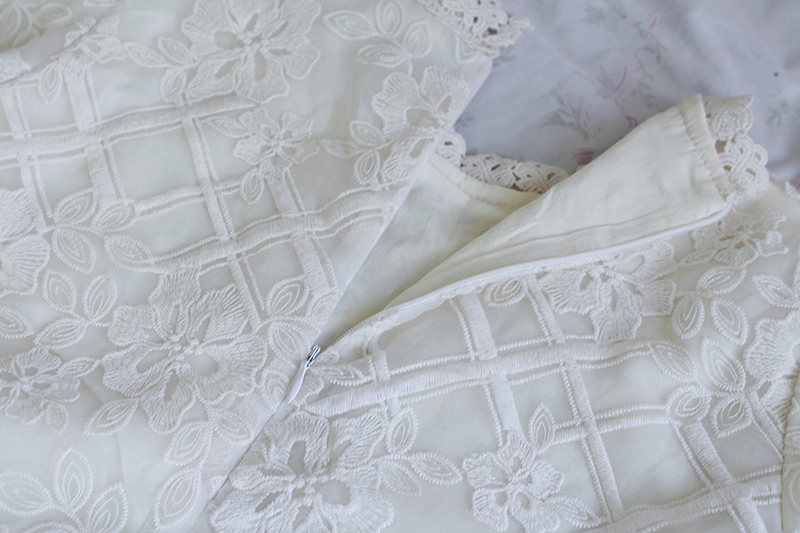 I am in the mood for the latter, and what could be more elegant than lace? This particular dress from Zaful captures both class and comfort! 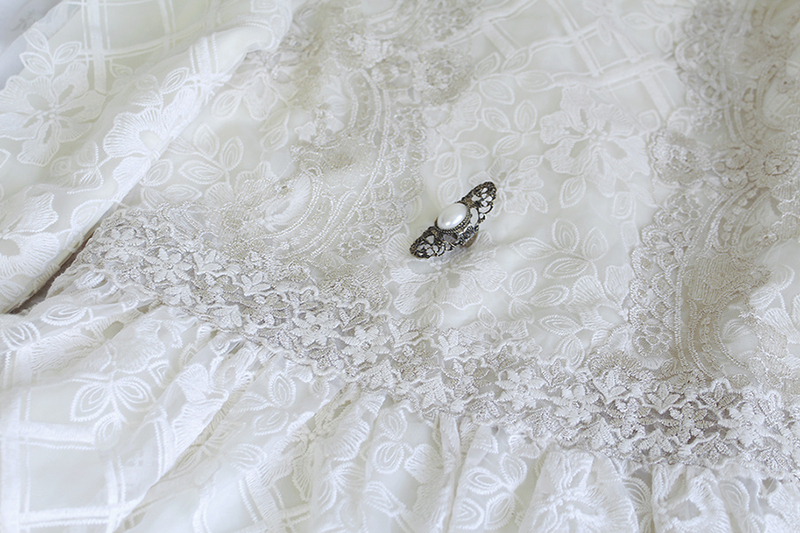 I am so in love with details of this dress. Initially I did not want to choose it as it was only available in medium, and I prefer to wear an Asian small. The bodice, according to the measurements on the site, seemed to be loose fitting so I assumed it would look huge on my frame. But since I could not resist the elegant embroidery, I made up my mind that I would alter it one way or another, or perhaps simply wear a belt with it. Luckily it was just my size! Fair warning though, as this dress is really short. I am five feet short and it already looks like a mini dress on me. I was also pleasantly surprised with how soft the fabric was. Truth be told I did not expect the dress to be of good quality. 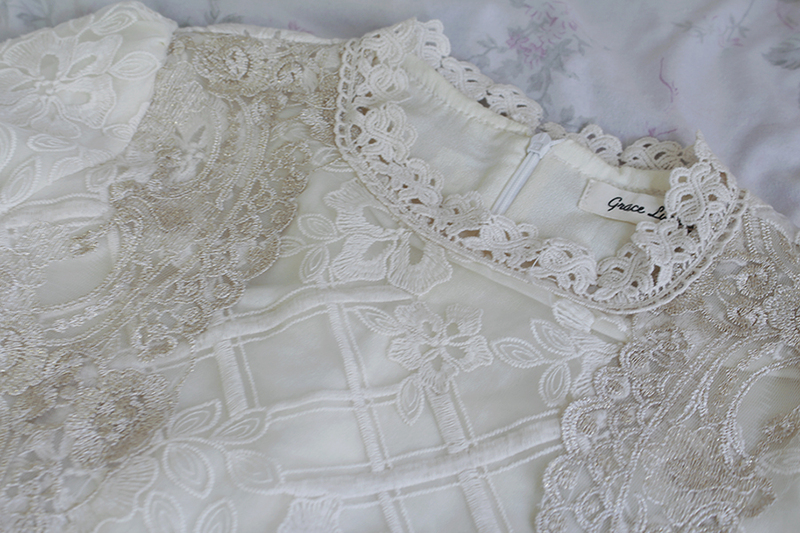 I have had lace organza dresses before and they seem to be cursed with a scratchy texture, especially at the seams. This dress is fully-lined, and both fashion fabric (lace) and lining, were light and breathable. It is very comfortable to wear in warm weather. I was delighted to create my look with the dress. I thought gold would be a wonderful accent; I wore this floral crown that I made, along with my other gold and cream-colored accessories. I thought it would be fun to add some gold flowers to my transparent purse. But this was all for the sake of achieving the aesthetic, haha! Aside from the dress, I also included this faux pearl ring in my Zaful order. Make-up and hairstyle wise, I was inspired by the Japanese fashion trend larme kei, though I chose to leave out the red blush. 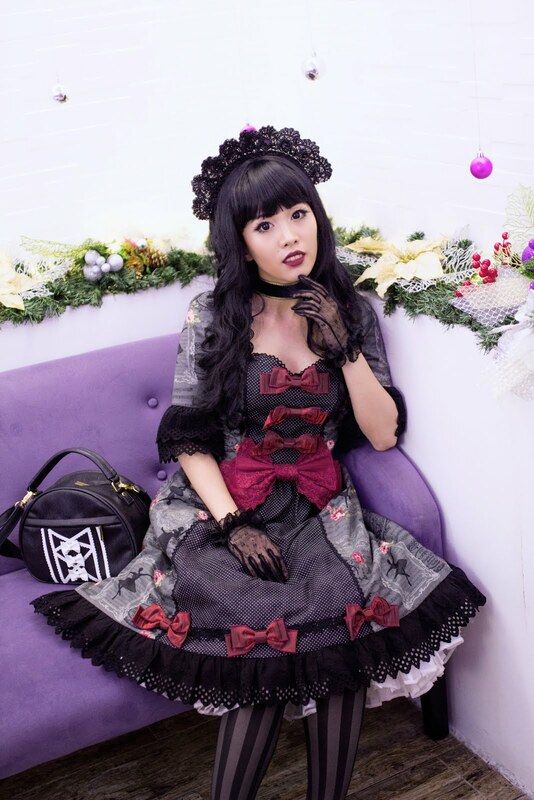 My hair is actually a wig called Girly Girl, and was sponsored by GothicLolitaWigs. Honestly I wanted to wear my real hair for this look, but I need to learn how to do braids first! I do love the shorter wig/hair as it showcases the lace round neckline of the dress.